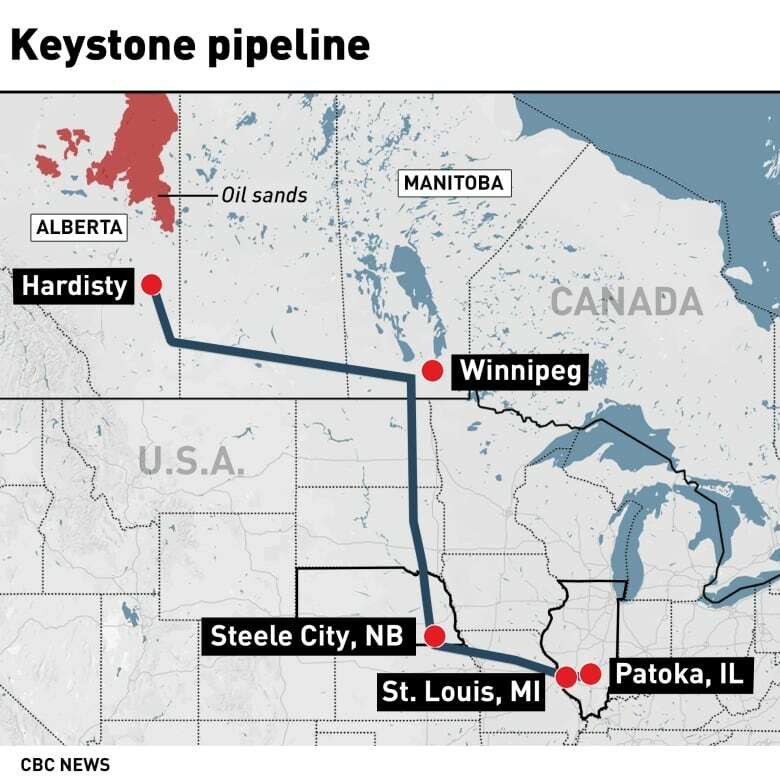 TransCanada Corp., believes its Keystone pipeline is likely the source of an oil leak near St. Louis that Missouri officials have estimated at 6,814 litres, a spokesperson for the company said Friday. Enbridge Inc., spokesman Devin Hotzel said the company is "highly confident" that the Platte pipeline is not the source. 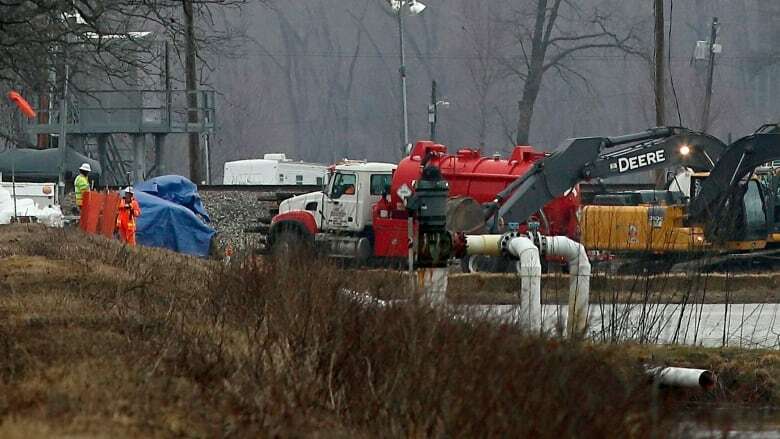 Quinn has said the spill was contained to an area of about 372 square metres, and did not reach any waterways, including the Mississippi River, which is about 610 metres away.